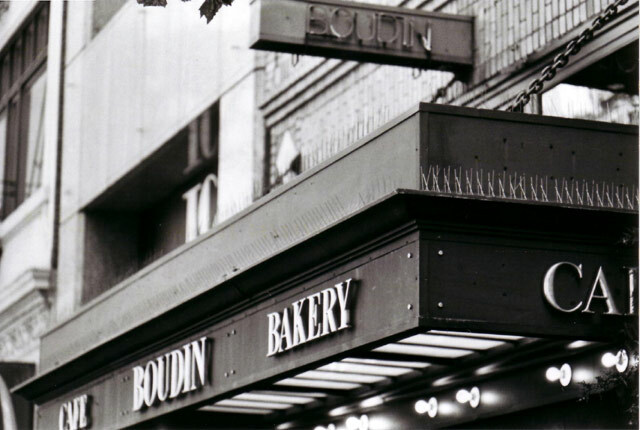 Cafe Boudin Bakery: Along Market Street in San Francisco. Snapped on: June 17, 2004. Nikon FM (c. 1977), Nikkor 105/2.5 AI f5.6 ISO400, Kodak Tri-X Black & White film, This is a flatbed scan of a pro lab print on color paper, so there was a slight "duotone" feel to it that I kinda liked.